One of the things I love the most about menswear – apart from the fact that I get to wear it every day – is how steadfastly it has been growing over the past couple of years. It is doing so in such a unique way, with new brands being born every few months inspired by very focused points of view. Such is the case of Evocha, a British-founded name who came to live exclusively online on July 30th. They are championing a much-needed concept of high-quality clothing cutting the 4x markup of designer brands. They believe in simple, classic, elegant designs to provide the essential luxuries a man needs without disregarding the values of quality, ethics and craftsmanship. Kickstarting their launch are the Henry, Francis and Carnaby that make up the Oxford Collection. Each of the pieces are made with the finest Egyptian cotton woven in Italy and hand-sewn in Britain and toped-off with mother of pearl buttons. I was lucky enough to get a 'Carnaby' all for myself and I can't recommend it enough. 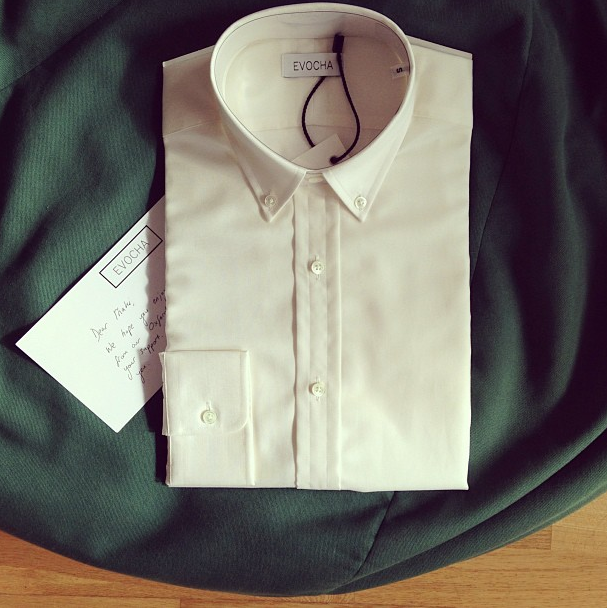 The quality of the material beats even that of the made-to-measure designer shirts I have bought in the past. The body and sleeves are light as a feather and feel soft on the skin. The collar and cuffs have been structured to perfection and sit just as nicely under a tailored jacket as they do under a casual loopback jumper. I have worn it everywhere form work to drinks out with friends and I couldn't possibly have received more compliments – especially from my male friends, who were impressed with the quality and envious that I was the one wearing it. 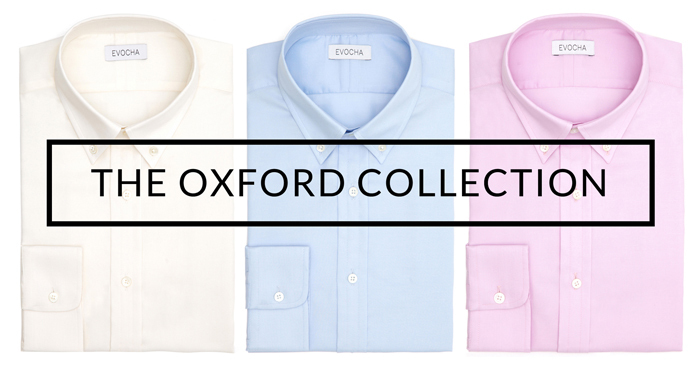 At £85, the Evocha Oxford range is the perfect example of an investment one should do in quality wardrobe staples. They come in the classic white, blue and pink so they easily adapt to any situation and are that perfect subtle statement a man likes to make with his personal style. I also invite you to watch the video below, where you can observe the entire process of making the Oxford Collection pieces. If this and my keen words are not enough to push you to buy one, Evocha is offering Fashion, Frankly readers a 20% discount across their products (that'd make your shirts £68) – which also include incredible cashmere scarves and womenswear pieces. Just enter the code FASHION-FRANKLY at checkout to get your discount. The code is valid until October 1st. Click here to shop.